As a solution provider evolves, so does its need for market exposure that can evolve along with it — especially when it comes to trade shows. MBO America, a leading provider of modular web and cutsheet finishing solutions, believes that exhibiting at PRINTING United will let it take advantage of precisely this kind of brand-building opportunity. 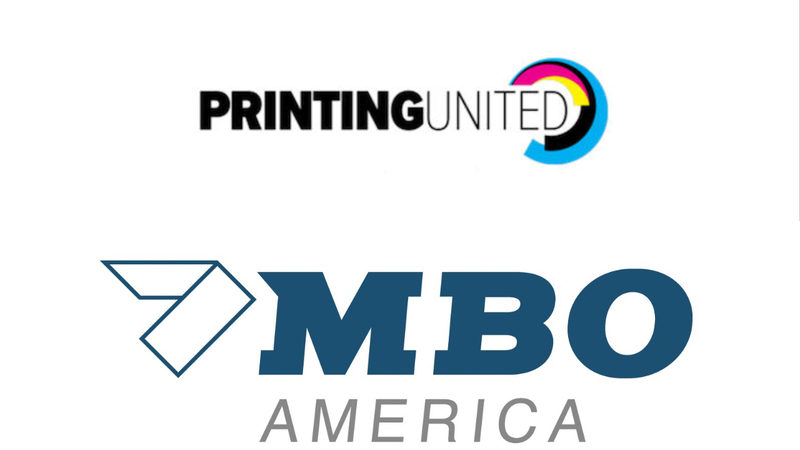 In announcing MBO America’s decision to take part in PRINTING United (Dallas, Oct. 23-25, 2019), Lance Martin, VP national accounts said, “PRINTING United will integrate well with our overall marketing goals. Our plan centers around NAPCO, who has been a great partner to MBO America in the last few years, giving us a fantastic return on our marketing dollar. We supported their new models such as Inkjet Summit and Digital Packaging Summit bringing an entirely new concept to the education of the industry. Now with NAPCO and SGIA coming together to produce a new and more diversified event, we have confidence that we will have the opportunity to deliver our message to the right individuals and the right companies. “The ability to reach and interact with a diverse community of printers from all market segments is a great fit for the strategic vision of MBO America. Our experience at other NAPCO events like Inkjet summit has been very positive, and our hope is to reap the rewards that we have seen at those events on a larger stage” stated Josh Romberg, Director of sales.